“I am not educated. I don't even know my date of birth. I only understand that to save my son, he needs to be in the ICU for the next two weeks.” - Tukaram, Sai Charan's father. 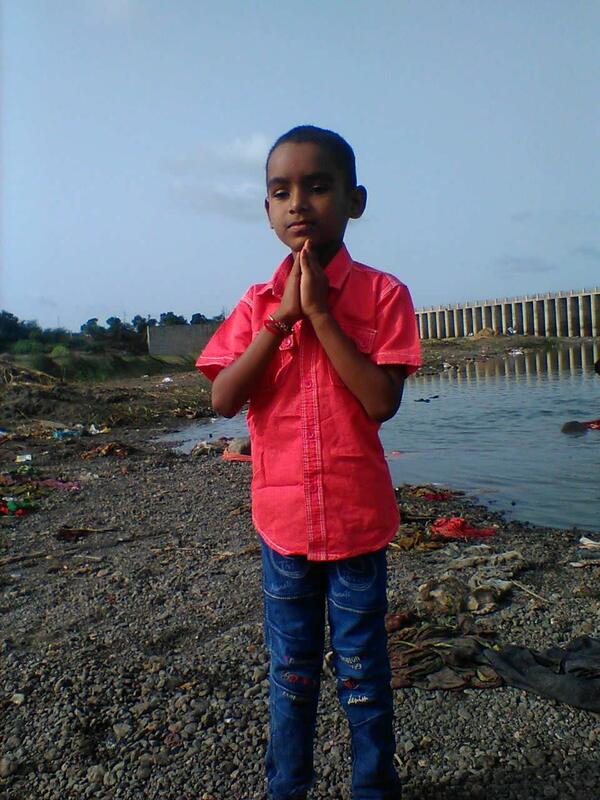 Instead of enjoying his summer vacations, class 1 student Sai Charan is fighting to breathe and live. Constant seizures have damaged the part of his brain that controls respiration. He needs to be on a ventilator until his brain heals. His father – a cook in a canteen does not have to means to save him. Everyone in Sai's family wakes early. Last Monday was no different. Only Sai hadn't woken up. When Tukaram went to wake him he was having violent seizures – hitting his head against the wall. 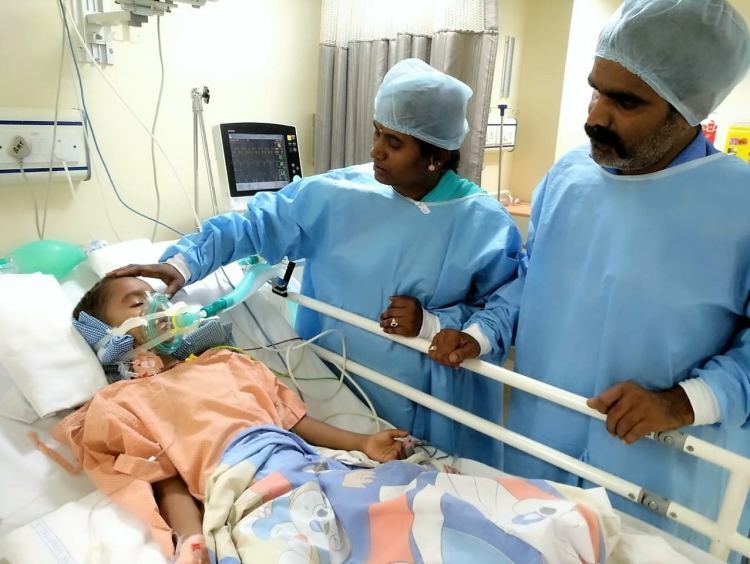 He and his wife Jagadevi rushed Sai to a hospital in Hyderabad. Even after being admitted his seizures stopped only after 48 hours. His head injury damaged a crucial part of his brain. “He was fine – he went out to play every day. Last Monday, when I went to wake him – I saw him like that. He was unconscious for all week, but yesterday – when we called his name he opened his eyes. He has a tube in his mouth to breathe so he can't speak. But he saw us and started crying,” Tukaram says with a quaver in his voice. Sai's violent fits caused the stomach acid in his body to enter his lungs. It caused irritation and infection in his lungs. 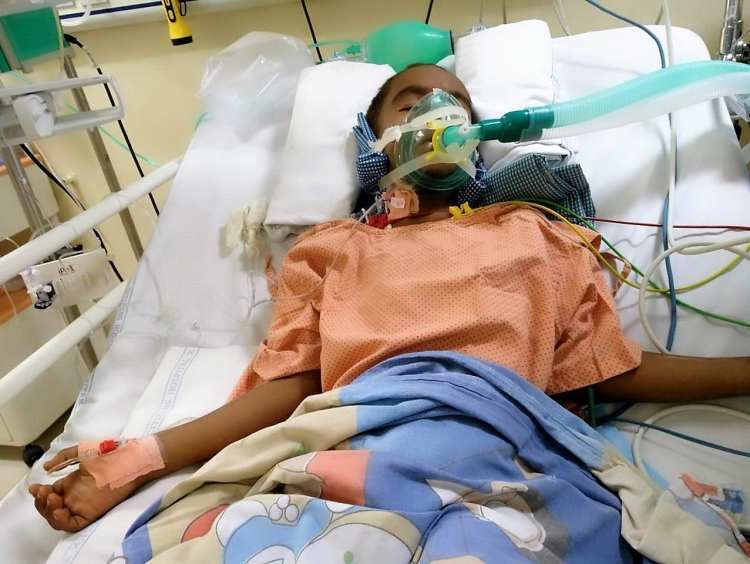 Thankfully, the infection and the damage has been controlled but without the ventilator, he cannot breathe. 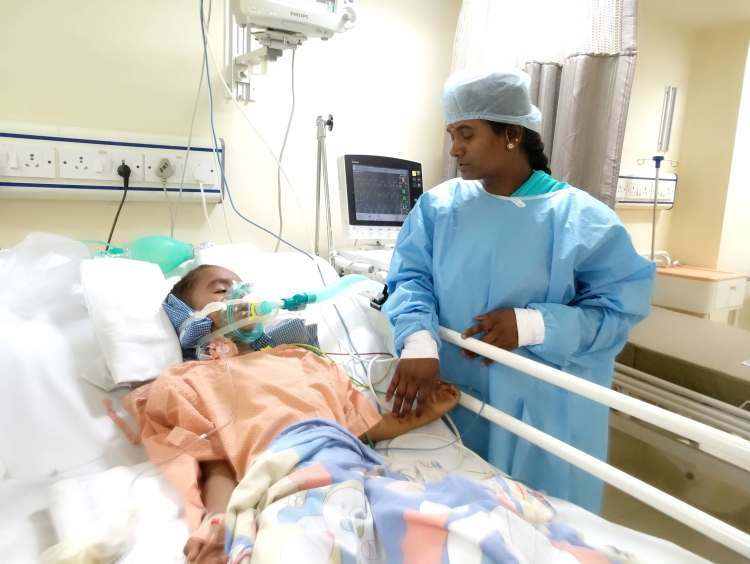 To survive – Sai needs breathing support till his brain resumes normal breathing control. “I don't understand much, but he has damaged his brain and can't breathe any more. The doctor told us that he needs to be in the CICU for another 10-15 days till his breathing comes back. He looks better than before – all he needs is some time. It is time that I can't get for my son,” says Tukaram. 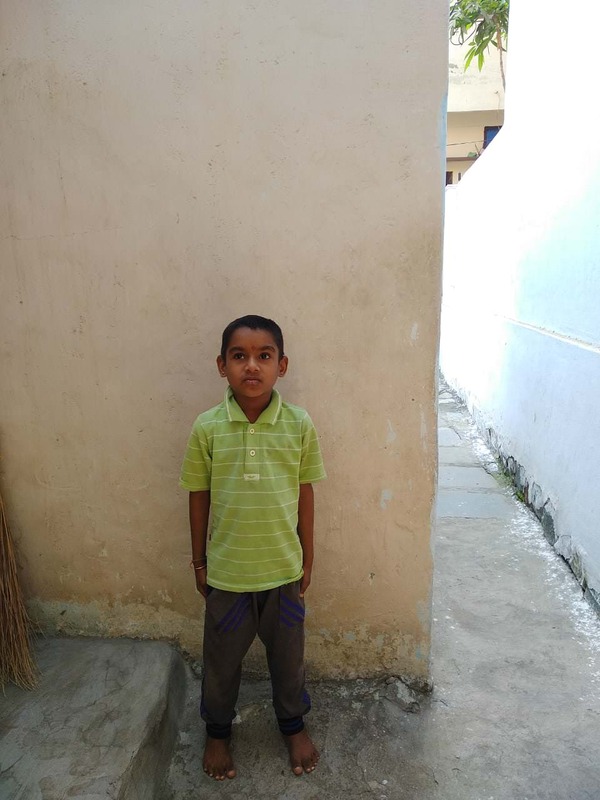 Sai lives with his parents and little brother in Shankarpally, a small town outside Hyderabad. 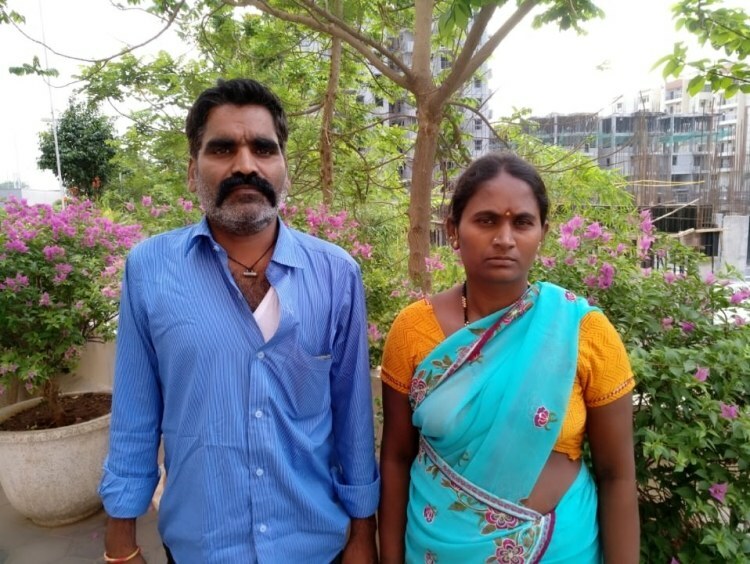 Tukaram used to cook in a small hotel, but for over a month, he hasn't been able to work because he has debilitating pain in his hands and legs. He denied himself treatment to save money for the family – but spent everything he had to save Sai. 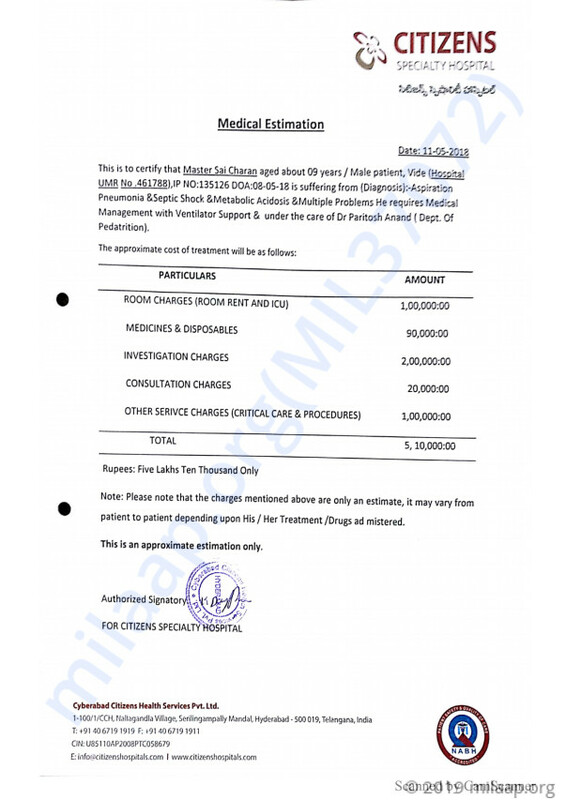 “Everything we had, we paid for treatment so far. There is still a long way to go, and I cannot afford the bills anymore. 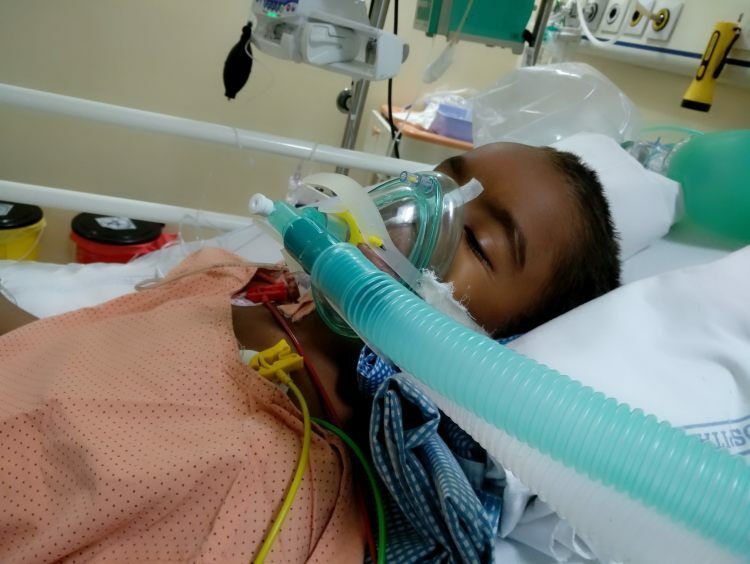 We left our 4-year-old son at home and rushed to the hospital to save him. My wife is sitting and crying all the time. I feel like I can't breathe watching my son like this – how do I save him?” Tukaram wonders. Sai has survived a terrible ordeal and has a good chance of getting better. His parents need just a little support to help him make it. They are helpless to do anything because they have spent everything they had on keeping Sai alive. 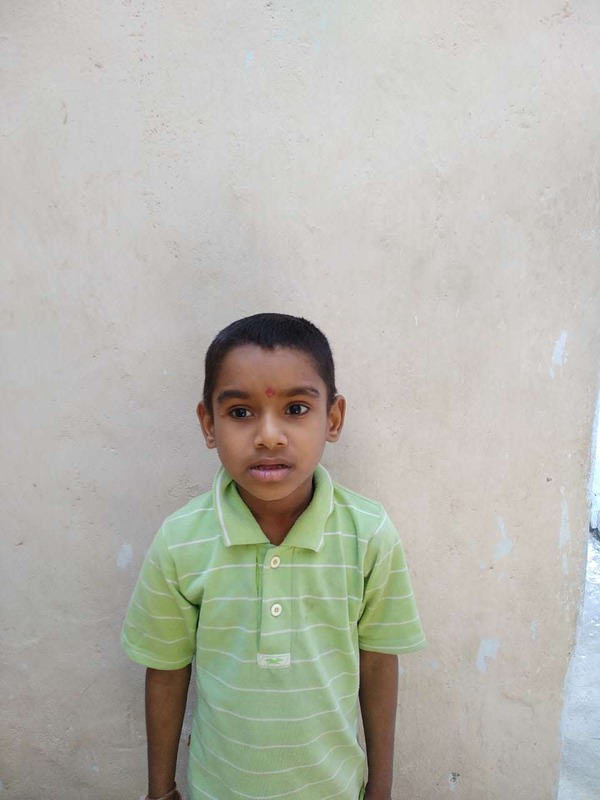 Your contribution will save little Sai Charan's life. Sai Charan is doing well. He is currently at home and is fine now. Thank you once again. This wouldn't have been possible without you all. Thank you for the wonderful support that you have shown towards Sai Charan. He is doing better now compared to earlier. He had seizures and was being treated for the same. He was advised ventilator support and he slowly started responding positively to the treatment. Slowly his dependence on the ventilator reduced and he is on CPAP until his health stabilises further. 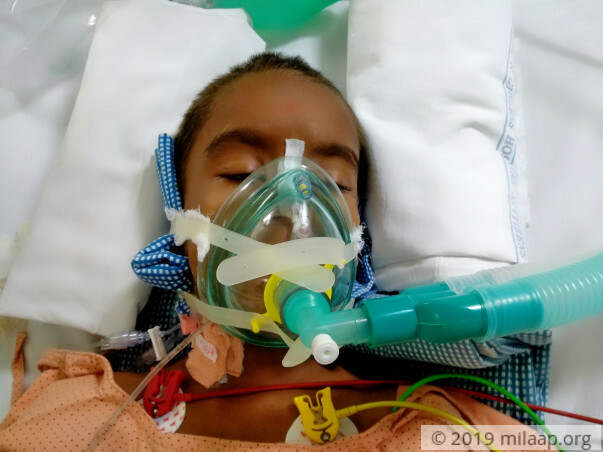 He is on medication at present and the doctors will suggest the future course of action upon reviewing his health and response to the treatment. Thank you for the support once again. Please do pray for his health and speedy recovery. Will keep you posted. By the grace of god you will be fine and lead normal life again 🙏🙏🙏 Get well soon Sai.